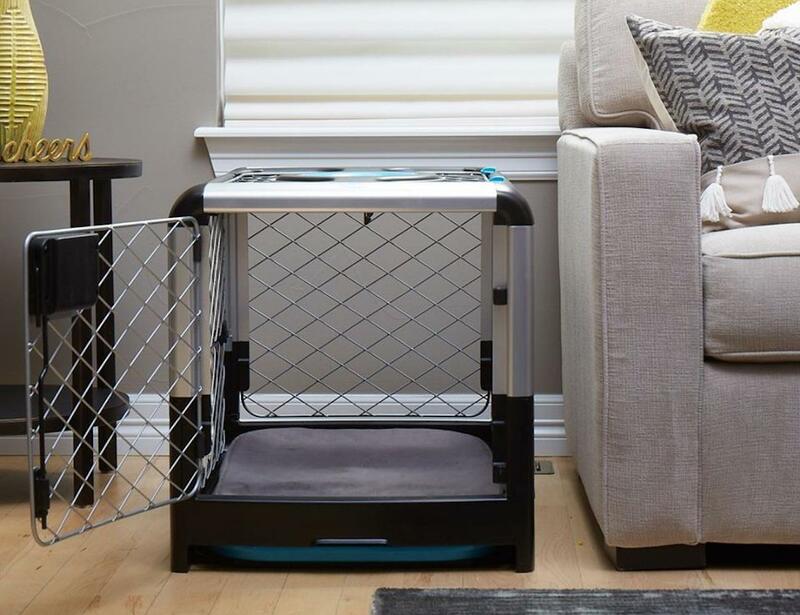 Give your furry friend a cozy and safe place to rest with the Diggs Revol Collapsible Dog Crate, which is suitable for dogs up to 30 pounds. 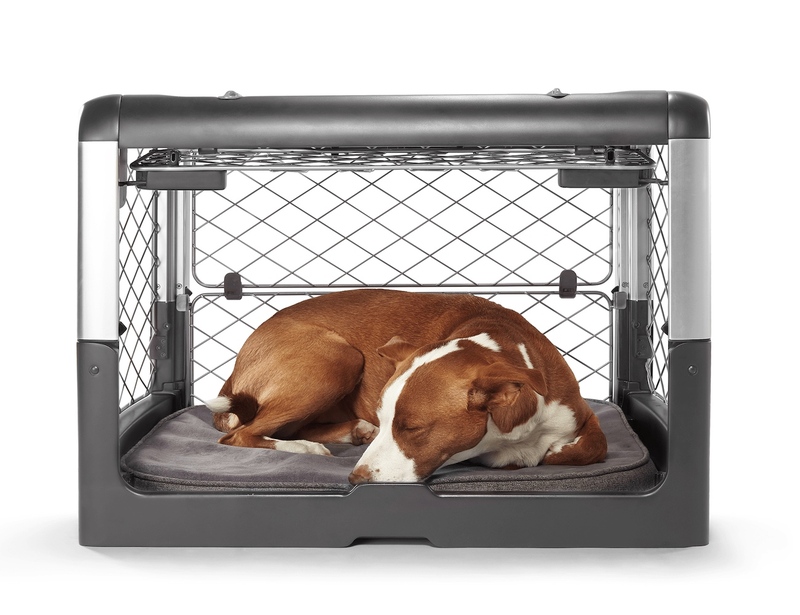 Give your furry friend a cozy and safe place to rest with the Diggs Revol Collapsible Dog Crate. 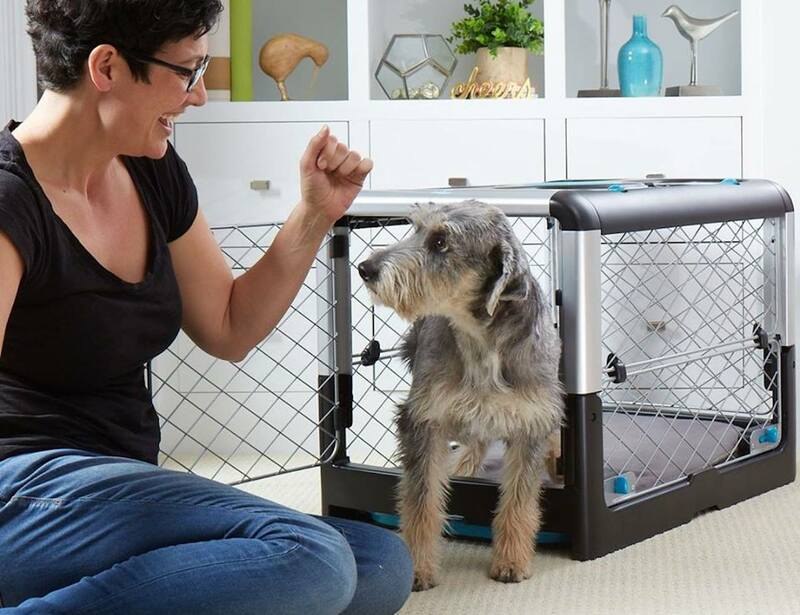 Featuring a patent pending design, this modern canine crate is safer and more convenient than standard ones. 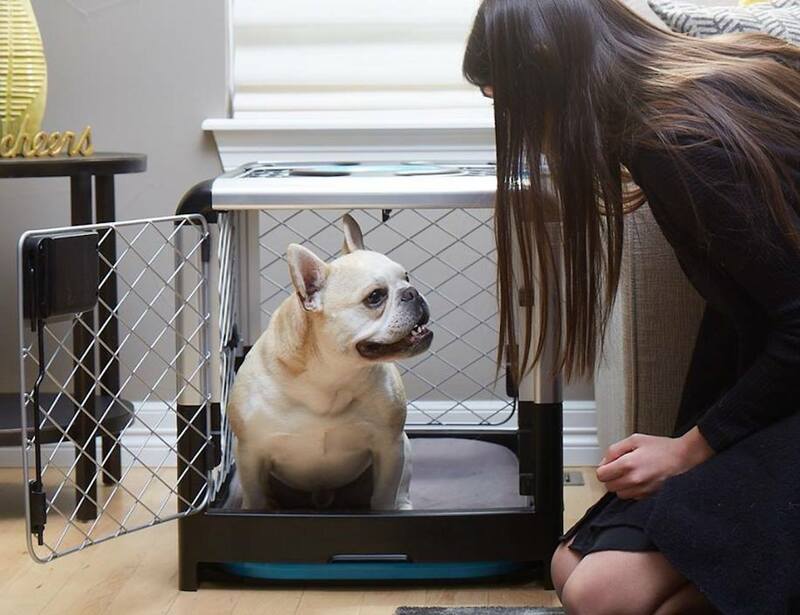 Suitable for dogs up to 30 pounds, the flat folding dog crate keeps your dog healthy and happy. 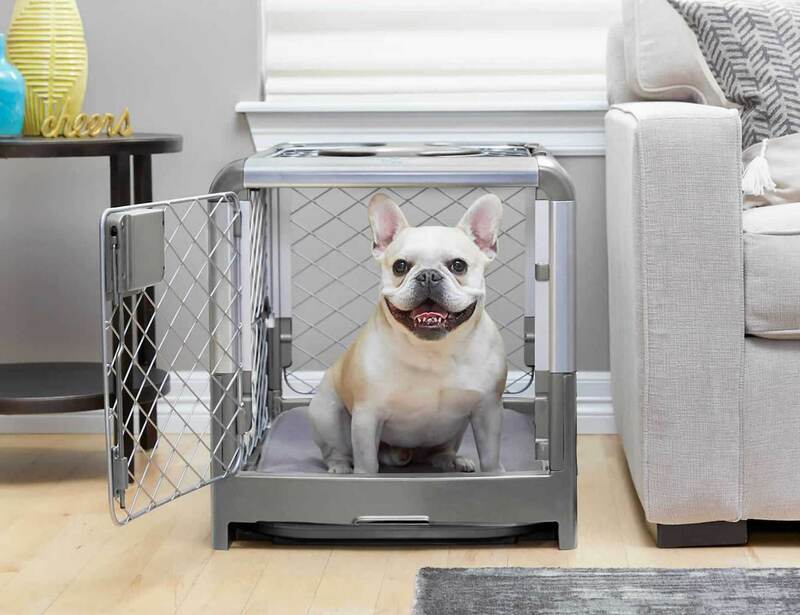 Available in size small, the Revol dog crate is ideal for dogs such as French Bulldogs, Miniature Poodles, Pugs, Boston Terriers, and Corgis. 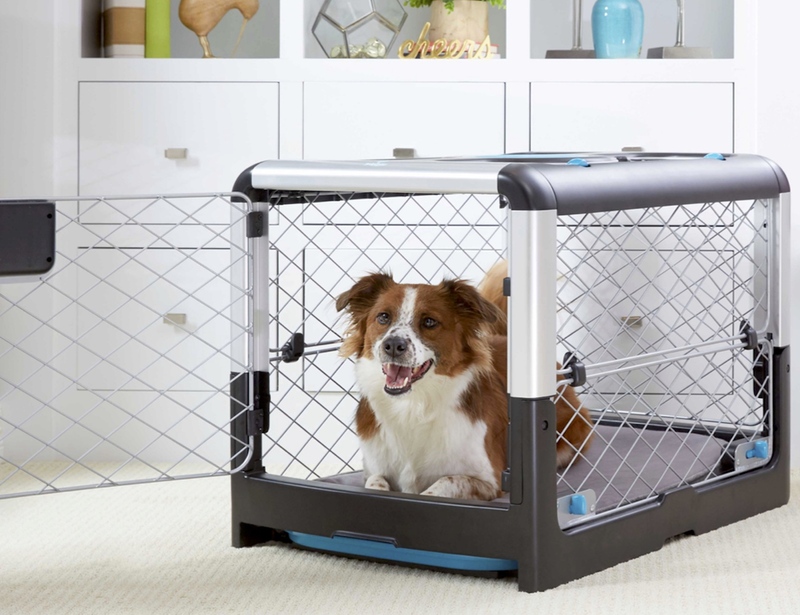 Easy to set up and collapse, the dog crate provides three access points and two doors. 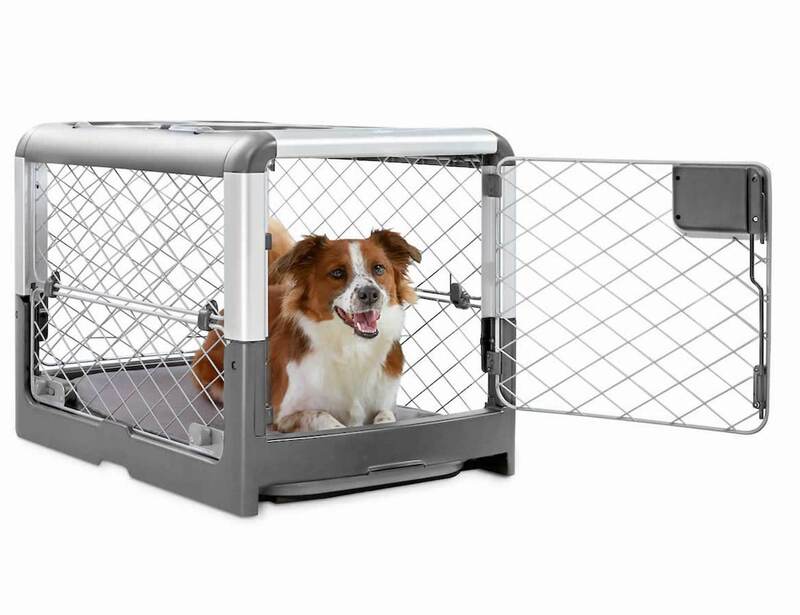 It also comes with wheels for convenient transport. 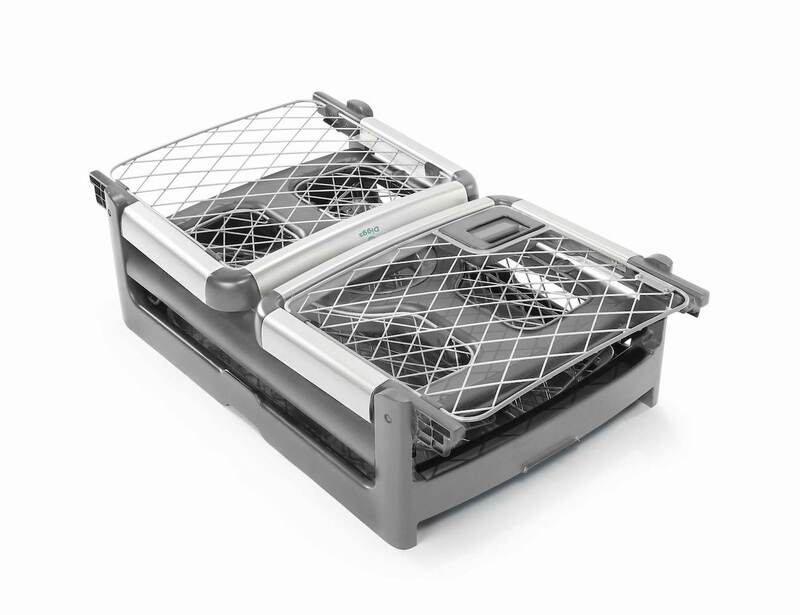 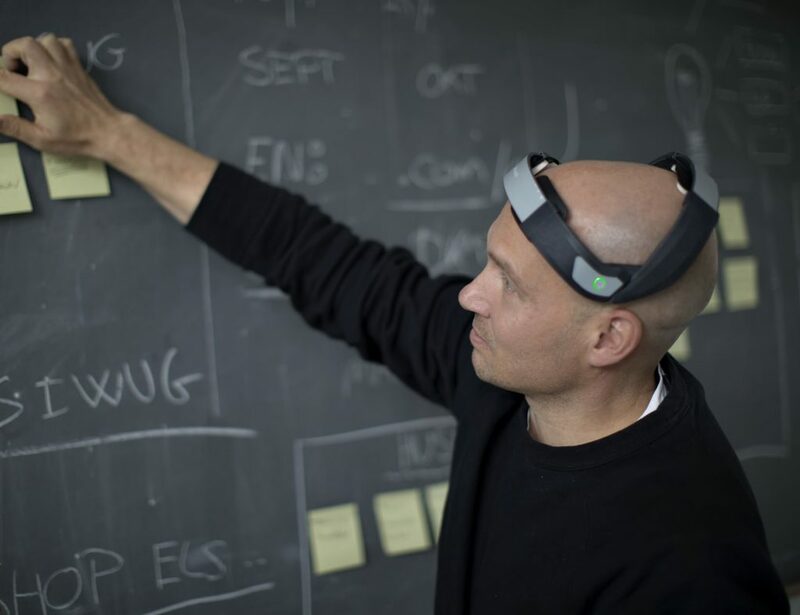 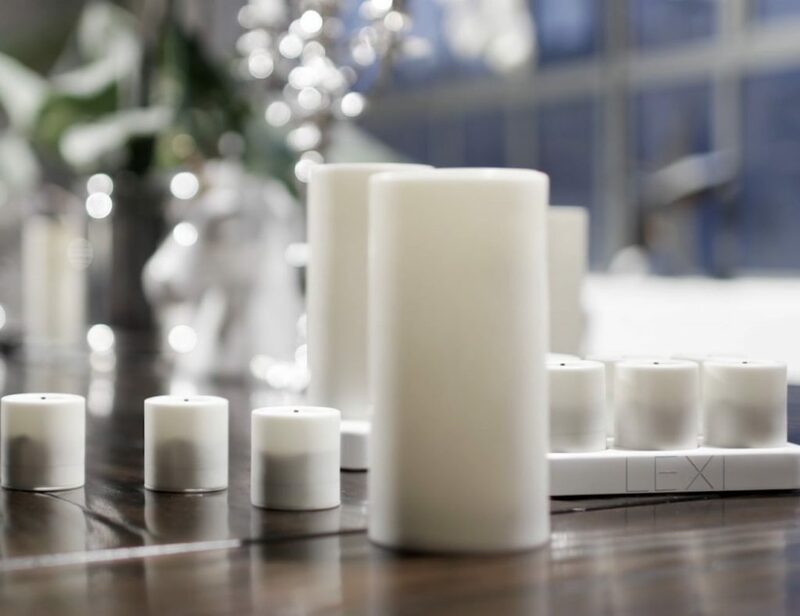 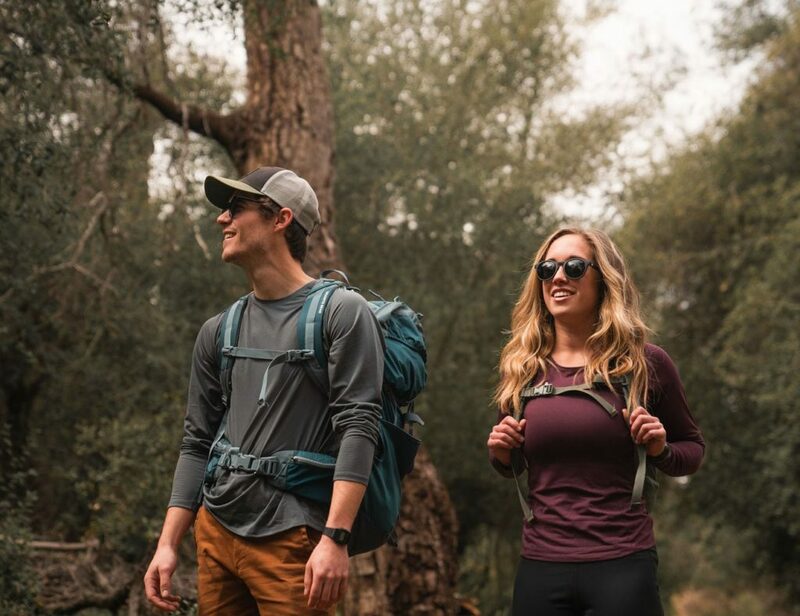 Similarly, the collapsible design makes it easy to travel with and store. 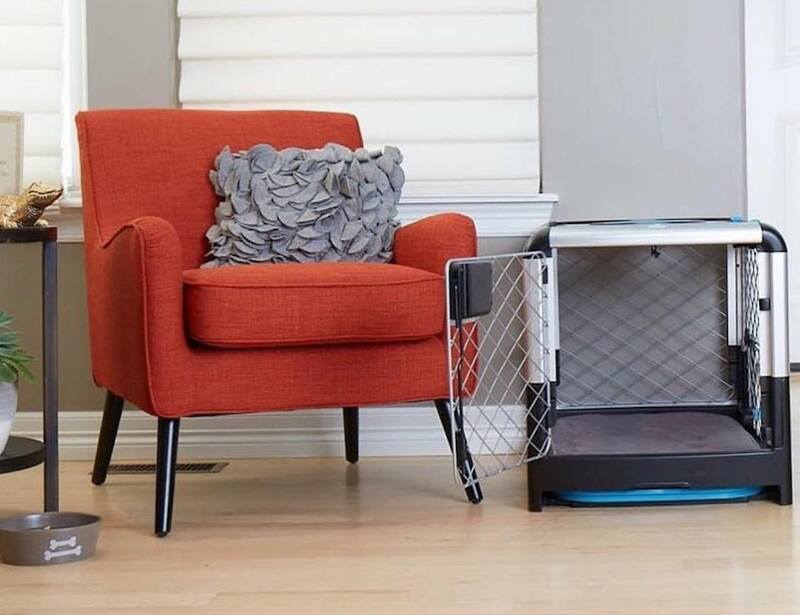 Stylish and effortless, the Revol dog crate simplifies living with a pet and makes it more enjoyable.
" 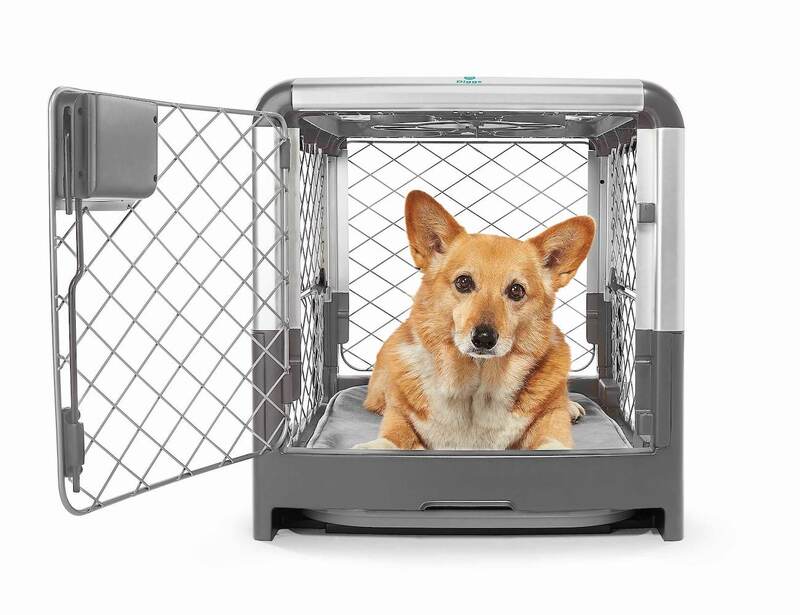 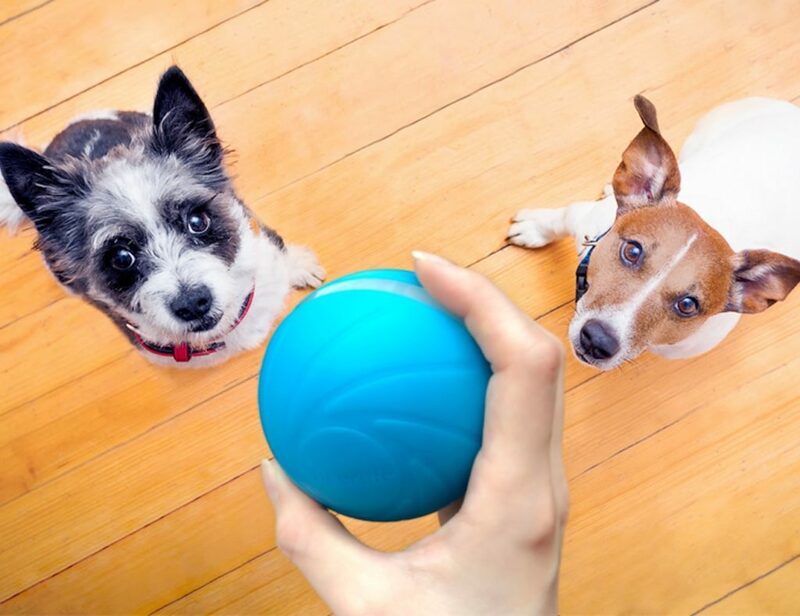 Simple, easy, and safe for your dog - what more could owners ask for? "